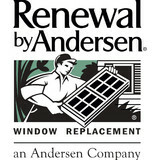 Renewal by Andersen is the window replacement division of Andersen Corporation, which is the most recognized window brand in the United States. We serve areas in South Central PA, including Harrisburg, Lancaster, and York. Our process begins with a free in-home consultation to listen to your needs. We then custom-make beautiful, energy-efficient composite windows and professionally install them for optimal performance. Finally, we back both the products and installation with one of the strongest limited warranties in the business—providing you peace of mind for years to come. After installation, we provide one of the strongest limited warranties in the business! Since opening our first store in Minnesota in 1995, Renewal by Andersen has rapidly grown to more than 100 markets in the U.S., becoming one of the largest window replacement companies in the country. And, since we’ve installed nearly 2 million windows in over 300,000 homes, you can trust us to do the job right. 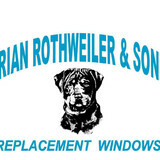 Join our thousands of happy customers that tell us, "We love our new windows!" 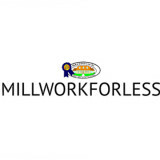 We have been providing our customers with quality custom millwork since opening in 2002. It is because of that superior quality that our work can be found throughout the east coast and the islands of Bermuda and Bahamas. We have been constantly growing under the leadership of Founder and Co-owner, Trent Saner. Trent started his career in custom millwork in 1984, by working for his father, Bob Saner. In a short amount of time Trent was promoted to draftsman, estimator and then to shop foreman. Trent’s father was very well known in the industry for his exceptional knowledge and experience. He worked with Trent for 12 years before leaving the business for other job opportunities. At that point Trent became manager of the millwork division and quickly gained the same high reputation as his father. In October of 2002, Trent and his wife, Marti, opened Saner Architectural Millwork, Inc. They soon employed their three children, Ryan, Amanda and Trent Jr., and eventually Bob Saner, making three generations of Saner’s. Their dedication to developing a successful company is evident as sales have continued to increase every year. The strict quality guidelines that Trent has implemented are easily seen in their work. It is this quality reputation that has given Saner Millwork the opportunity to do work for the following prominent places and people: The White House The U.S. Capitol Building Dominican House of Studies The U.S. Capitol Building Aaron McKie of the Philadelphia 76ers The Pentagon Tom Brady The Greenbrier Bruce Springsteen Foreign Embassies Boston Harbor Hotel Andrews Air Force Base Bon Jovi McGuire Air Force Base Harvard University University of Boston President James Buchanan's Wheatland Estate Lancaster Central Market (Country's Oldest Operating Farmer's Market) Please understand that Saner Millwork also sells stock items at very low prices, so whether you are looking to remodel a room, finish your basement or build your dream home we have the product to meet your price range. Please email us for an estimate to get you started! At Blank's Windows and Doors, we are dedicated to providing quality installation and repair services for all your professional and housing needs. 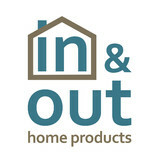 Through us you will have a variety of high quality choices from name brand products such as Ideal manufacturing, Northeast Building Products, Survivor, ODL Door Glass and Anderson Storm Doors. Our mission is to supply our customers with high quality products, on time, at a 100% fill rate. LTL delivers innovative and creative solutions that exceed our customers' expectations. We believe in using the best people and best technology to serve our customers with passion. Our people are well-trained, have high integrity, work with enthusiasm, and have a strong interest in growing with the company. As our company experiences long term financial success, each of our people will experience financial rewards and personal fulfillment. AMERICAN EAGLE DOORS and WINDOWS was formed from American Eagle Contracting, LTD in 2007 by Leon and TR Adler in response to a perceived need for quality wood doors at a reasonable price. We moved into W. Main St. Waynesboro, Pa 17268 in July 2009 We grew to a new location to better serve our customers at Wharf Rd Industrial Park in Nov. 2014. AMERICAN EAGLE DOORS and WINDOWS specializes in building custom doors to your specifications and offers design help (if you have a picture, we can build your door). We also specialize in building HISTORICAL AND PERIOD STYLES and RESTORATIONS. We can build doors with thicknesses from 1 3/8" to 3", with true solid wood construction, not "engineered solid construction" (i.e. sawdust and glue). Our doors are constructed with true mortise and tendons to create the STRONGEST DOOR IN THE INDUSTRY. We hand select the hardwoods for each door order, to create the clearest most beautiful panels, then the doors are HANDCRAFTED in our shop in Waynesboro, PA.Our jambs are constructed in solid wood (not finger-jointed) to match the door in beauty and strength. Our craftsman have decades of experience, and we will work with you,your architect or builder to create an entrance (as well as interior doors) that is superior in quality and aesthetically beautiful. The front door is the first impression your home makes, shouldn't that impression be exceptional? Solid construction minimizes VOC emissions and confers LEED points to your construction. AMERICAN EAGLE DOORS and WINDOWS now offers a full line of custom, residential and commercial doors as well as new and replacement windows, and hardware. Car Locksmith Bel Air MD is a veteran company that wants to always keep our customers satisfied. When you have us around, you can count on your locks and keys being able to be renovated within minutes after you call. We’ve mastered the locksmithing business, and now we’re beginning to show our true power. Whether you are a citizen of Maryland or you’re simply coming by for a visit, you will love the effect that you will receive from a bel air locksmith of our team. We know that you don’t want to pay a lot of money, so we have provided our customers and clients with a bunch of online coupons right on our website. When you come to us for a Bel Air locksmith, we think that our guys will absolutely blow your mind. We are on a mission to push the locksmithing culture forward, and we think this is the first step in that goal. Give us a call tonight if you’d like to hear a free estimate from our professionals. What kind of services do New Market door dealers provide? Door dealers are responsible for a variety of services, including door installation, replacement, door repair and custom door design. If you need a new door, New Market, PA door dealers will help you determine what kind you need, as well as shape, color, size and more. From barn doors to French doors to front doors, these professionals can help you choose, install and maintain your door investments. Wood doors are beautiful, versatile and tend to be the most popular choice for both interior and exterior doors; they are easy to custom build, and include oak, cherry, walnut, mahogany, maple, fir and pine. Some standard wood doors have MDF cores wrapped in wood veneers, which minimizes the chances of warping as real wood expands when wet and contracts when dry. If your heart is set on a wood door but you think the New Market, PA climate might cause it to warp, talk to your door professional about a furniture-grade veneered door. Aluminum doors have an insulated core and come in a variety of colors and finishes. With a baked-on enamel finish, they won’t rust or need repainting, and many come with a 20-year warranty. Next to wood they are the most expensive and have to be custom-made. A New Market, PA door dealer can help you find a reputable aluminum door manufacturer. 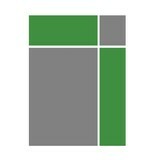 Find door dealers and installers in New Market, PA on Houzz. Look in the Professionals section of our website and search for New Market, PA door dealers and installers. Read reviews, look at project photos and see how a pro can help with your home improvement project.